In a journey of self discovery, we hope to take you on a voyage through the world created by today’s society and the struggles people face. This is a story portraying the raw emotions we feel every day. Lily is a struggling teen who has run away from her life. She follows the fights of birds, the sounds of shadows and through her travels learns to find joy in the world again. Her journey is an exploration of how bullying and social pressure affects us as humans growing up in a society where failure is punished. 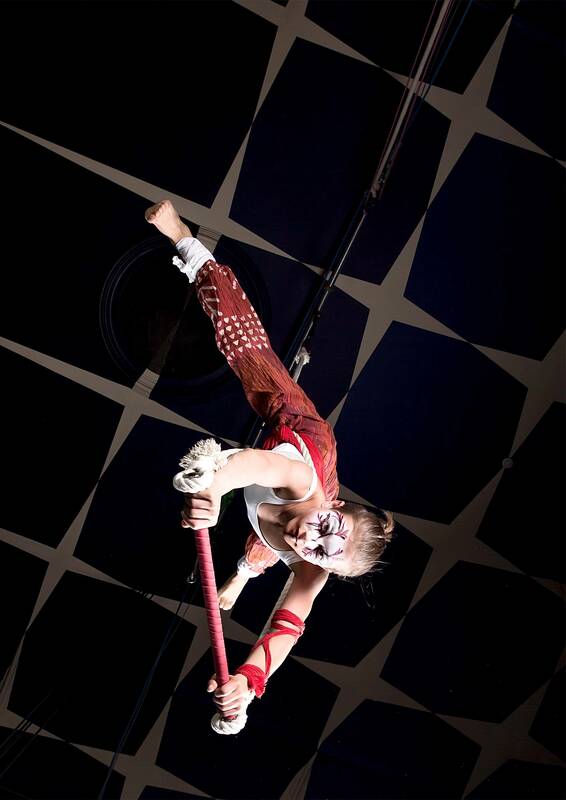 This family show combines physical performance, dance, theatre and live music in an intensely woven piece of contemporary circus.